If you’re buying a buy to let property or a second home in the UK, you’ll need to pay 3% extra stamp duty. We look at the exceptions, common questions and provide a second home stamp duty calculator so you know where you stand. Why is there a higher stamp duty tax on buy-to-let properties? A booming buy-to-let market in the UK has contributed to a housing crisis that is pushing home ownership beyond the reach of millions of people. According to Shelter, private rents have risen by 16% in the seven years to August 2018. That’s far faster than wages have risen. Here at Homeowners Alliance we have long campaigned for a change to stamp duty to ensure that first time buyers aren’t priced out of the market by competition from property investors. Then in 2015 the government announced that a new 3% additional stamp duty rate would be introduced for anyone buying a second home. “People buying a home to let should not be squeezing out families who can’t afford to buy a home,” said the then Chancellor George Osborne at the time. He added that the money the new rate raised would be ploughed into building more affordable homes. 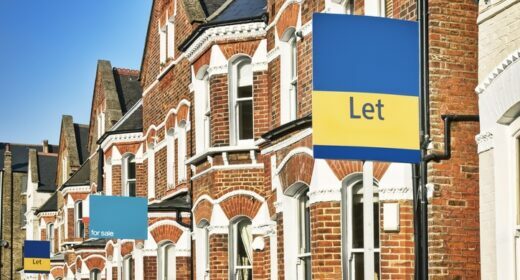 There are 2.5m buy-to-let landlords in the UK, according to HMRC, and if you are one of them then this new tax won’t affect the property you already own. But, if you are thinking of purchasing a buy-to-let property then the Additional Stamp Duty Rate could seriously affect what you can afford to buy. Do you pay stamp duty on buy-to-let property? Yes. Known as the Additional Stamp Duty Rate it is a 3% extra charge on top of your standard stamp duty bill. It is levied when you are buying a property that will result in you owning more than one. The most common example is someone who owns their own home and is looking to invest in a buy-to-let property. You can find out more about the main stamp duty tax with our dedicated guide to stamp duty land tax. It is payable on properties worth more than £40,000. It means you could pay up to 15% of the value of a property in tax when you purchase it. How much might I pay? The additional stamp duty rate is payable on top of the normal stamp duty that you pay on any property. So, you’ll pay considerably more stamp duty for a buy-to-let property than you would normally. That is £6,000 more stamp duty to pay than if you were buying a £200,000 residential property to live in. Value of property – If you are buying somewhere worth less than £40,000 it is exempt from stamp duty. Type of property – Caravans, mobile homes and houseboats are all excluded from the additional stamp duty rate. If neither of these apply you will be directed to pay the extra tax by your solicitor or conveyancer when you complete on the purchase. There is also an exemption if you are replacing your main residence. So, if you own a buy-to-let property but you are actually purchasing an additional property to live in you don’t have to pay the additional rate of stamp duty. But you have to sell your previous main residence to claim this exemption. You can find out more in our guide to Stamp Duty for Second Homes. Is it still worth getting a buy-to-let? When you are doing your sums to see if a buy-to-let property is for you it’s important that you factor in the stamp duty bill as it could be a big factor in deciding whether property investment is the best choice for you. In 2019, the average house price in the UK is £225,995, according to the Halifax House Price Index. If you had to pay the additional rate of stamp duty on that purchase it would add £6,780 to your purchase costs. In London the average house price is £616,501, according to Nationwide. Paying the extra stamp duty on that would add a whopping £18,495 to the cost of buying. That extra tax not only means you have to have more money in the bank in order to make a purchase or you will have to lower your budget accordingly. It is also worth considering how that upfront cost will affect the returns on your investment. It is possible to add the stamp duty to your mortgage, but that will push up your monthly repayments. You may want to consider speaking to an Independent Financial Advisor (IFA) before you take the plunge in order to make sure a buy-to-let property is the best place to put your savings. How and when do I pay the extra tax? The additional stamp duty rate is payable within 30 days of your completion date, at the same time as your main stamp duty bill. A tax return needs to be submitted to HMRC detailing what you owe, and the bill paid at the same time. In most circumstances your solicitor or conveyancer will arrange this for you. You can find out more with our Step-by-Step Guide to Buying a Home. What counts as a ‘main residence’? Your main residence for stamp duty purposes is the place where you and your family spend most of your time. The taxman will assess this by looking at where you work, where your children are registered at school and where you vote. What if my main home is abroad? If you own a property abroad and want to buy an investment property in the UK, then the extra stamp duty rate will still apply. Can I put our family home in my wife’s name to avoid the tax? When it comes to stamp duty the taxman classes married couples as a single unit. So, it doesn’t matter whose name your properties are in, if you as a couple own more than one at the end of the transaction then the additional stamp duty rate applies. If you aren’t married, then you could avoid the additional stamp duty rate if only one of you is named on the deeds of your main residence and the other partner buys the investment property in their name alone. If you don’t already own any property and are looking to invest in a buy-to-let, then you won’t pay the additional stamp duty rate as you will only own one property. However, you won’t benefit from first-time buyer stamp duty relief as that only applies to property that you plan to live in. What if the investment property I’m purchasing is abroad? You won’t have to pay the additional rate as stamp duty is only payable on UK property. What if I inherit a property I want to rent out? Stamp duty isn’t payable on inherited properties. But, if you go on to buy another property you may have to pay the additional rate if it will result in you owning more than one property. What if I buy a home with an annexe? If you purchase a property as a main residence, and it has an annexe or granny flat that is bought in the same transaction, is within the grounds of the main residence and isn’t worth more than a third of the overall value of the purchase you won’t have to pay the additional rate. However, if the whole property isn’t going to be your main residence, and you own another property you will pay the additional rate.